Lubricating while cleaning surgical instruments speeds the cleaning process and renders the highest quality cleaning process outcomes. 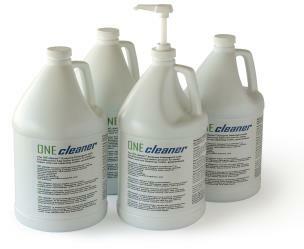 The ONEcleaner four enzyme surgical instrument and endoscope cleaners deliver lower cleaning process costs. One gallon can deliver 512 gallons of medical enzyme detergent surgical instrument and endoscope cleaning solution. Buy ONEcleaner medical enzyme surgical instrument cleaners, pre-filled endoscope cleaning sponges, and detergent enzyme endoscope cleaners.